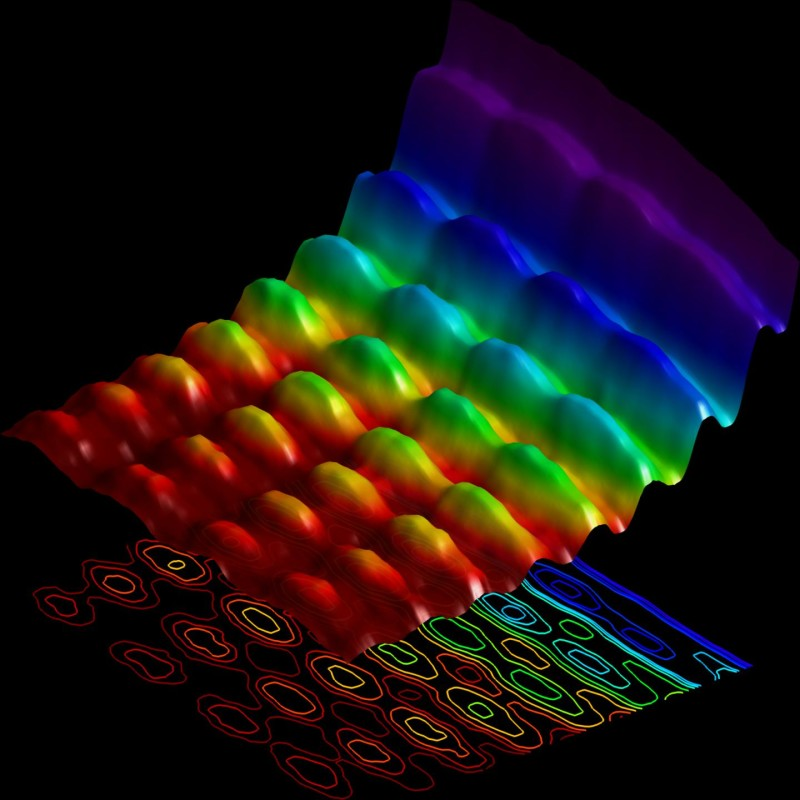 Do you want to see light as both a particle and a wave? Didn't think you could? Read the full article at EPFL. Now all they need to do is rig that sucker up to an interferometer and see if they can catch the wave function collapsing. So smart yet they still use effing rainbow pallete to present their results! Sigh. See Ed Hawkins blog as to why this shouldn't be happening. I have dropped quantum mechanics for geophysics, but it's nice to see that kind of experiment trying to tackle with the mere nature of quantum mechanics. And for the first commenter, I *think* I've seen an experiment on collapsing functions - unless it was on quantic entanglement, I don't remember. From my old days in the EM laboratory involved with electron diffraction and imaging my faltering memory gives me a bit of insight what is going on. I am not absolutely sure but here is my take on this. If the wire was not energised by the laser the electron beam in the EM microscope would show classic Fresnel fringes either side of the wire. This shows the wave nature of the electrons in the EM beam interacting with the electric field of the nuclei in the wire to produce elastic scattering of the electrons. Elastic scattering means that there is no loss or gain of energy by any electrons in the EM beam. What is interesting is that there is quantum exchange of energy between the electrons in the beam and the standing wave plasmons in the wire when the laser is turned on. This causes the Fresnel fringe intensities to be modulated by the standing waves in the wire. I am assuming that this is a time averaged image even though the delta t is very small.